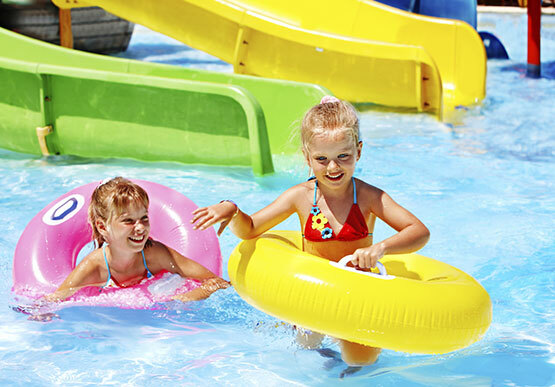 Experience uninterrupted fun with our incredible hotel deals close to Legoland in Carlsbad, CA. Lego lovers are in their element as they make their way through more than 60 thrilling roller coasters, splashing water rides, an aquarium, and live shows. Hop from state to state as you explore plastic sculptures of USA. Let the force be with you while taking in recreations of Star Wars scenes. Watch your little one become a ninja on the Ninjango ride. Let them climb high with the Kid Power Tower and Cole's Rock Climb. From Skipper School and Junior Driving School to Fun Town Police Academy and Jay's Lightning Drill, kids are not only having the time of their lives but also learning a ton. Marvel at sea creatures at the aquarium and meet a LEGO character at random. And when hunger kicks in, chow down on burgers, hot dogs, and pizza. Our Carlsbad hotel is less than a 10-minute drive from this exciting theme park. Varies per park and season. Opening and closing times vary park and month. How can I save on Legoland, CA tickets? Buy your tickets online in advance to save more. If you buy tickets for a set day, you'll get the best deal but you can also buy tickets with flexible dates. Costco and AAA members, and those with a military ID can get discounted tickets. Sign up for the free Lego Club magazine for coupons. What are some tips for visiting Legoland? Get to the park early for a better parking spot at a decent price. Download the Legoland app so you can navigate with an interactive map and learn about each ride. Consider the Reserve-n-Ride system to cut your waiting time for each ride. Pack a change of clothes if you plan to hit the water park and bring a backpack or rent a locker to put your things in.